The main artery of Chelsea Market that stretches from 9th avenue almost to 10th avenue should be called the hallway of deliciousness. You walk into a barrage of temptations and treats coming on to you like street hookers, “Hey, baby, you like what you see? Come over honey and get a little taste of this.” I love the level of glutton-ability and the throngs of food lovers, shoppers and tourists who crush into the circus, their faces ranging from delight to overwhelm and perhaps a little panic. Last Saturday, I ignored my way down the gauntlet. My taste buds had a very important date. 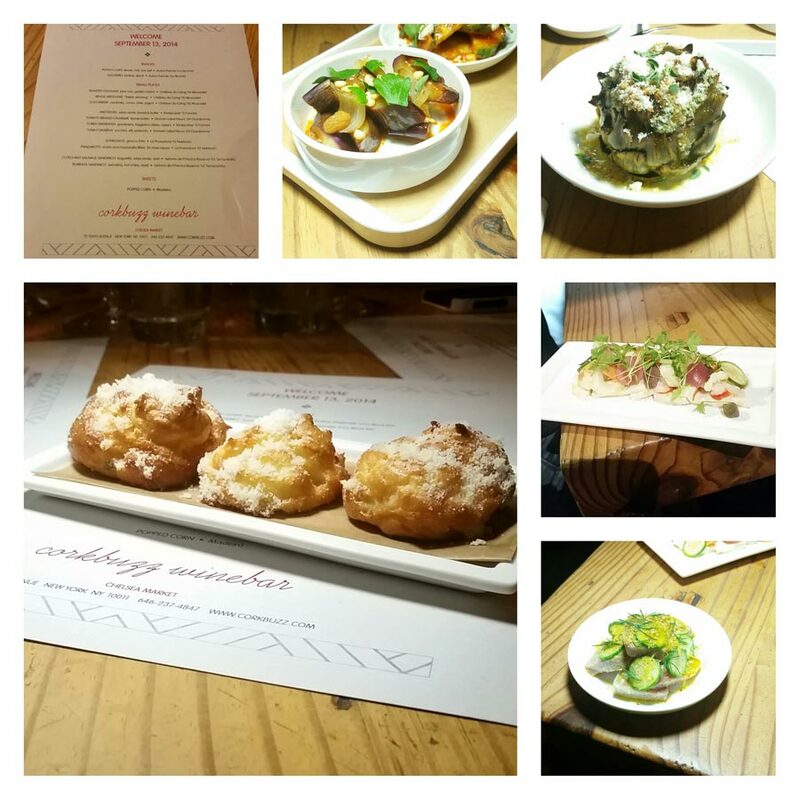 I was invited to a tasting at Corkbuzz Chelsea with a bunch of bloggers and food media enthusiasts. SURPRISE! Our table was set up ringside. We got to feast on Michelin-star chef Missy Robbin’s amazing food, with a view of the sideshow of the HORDES and MASSES hitting Chelsea Market. We watched them. They watched us. We created a spectacle by not only being a table of fierce-looking ladies, but by photographing every dish—Judy Kim, from The Judy Lab, even brought lighting. Cogitating, contemplating and cooing over every bite, we became an added attraction. The gorgeous gougères and more!!! ONE: You can experience “al fresco-ish” indoor people-watching, rain or shine, by sitting at that table any day. If you’re familiar with Missy’s food from A Voce you already know you’re in for a treat. I love that her food sensibilities are for no-holds-barred flavor. We share favorite flavors like fennel, chilies, salt and pork fat. What if I only ate food that made me long for it days later? Would I ever get any work done? Oh, the speck and fontina gougères—I’m still talking about them. They give you a luscious smack on the mouth where you can’t help but say, “Thank you, ma’am, may I have another?” and pray that you get one. 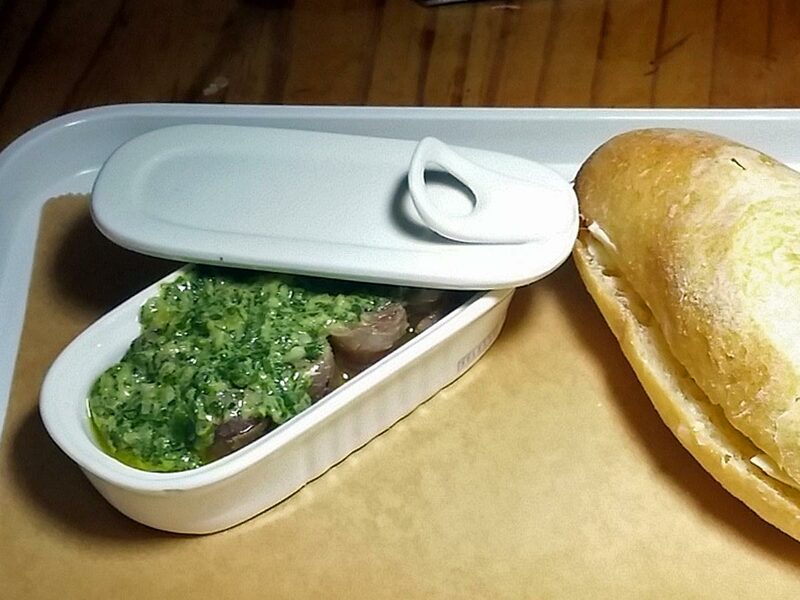 The anchovies in salsa verde made me not only want to steal the super-cute ceramic anchovy “tin” but to sneak up behind my unsuspecting fellow diners and give them a shot of something that would knock them out so I could eat them ALL. Note: I did not say roofie—that would have been completely inappropriate. The tomato-braised calamari with fennel pollen is very interesting. They don’t serve pasta at Corkbuzz Chelsea—the concept is small plates and the kitchen is tiny. What’s cool is if you don’t eat pasta, but want to feel like you’re eating pasta, you can have the calamari. The texture is quite pasta-like and it’s sublime. As you can see from the photos we ate a ton of food. The only dishes that didn’t rock my world were the cured tuna and the swordfish, although I enjoyed the giardiniera that was on top of it. My fellow diners LOVED the artichoke. 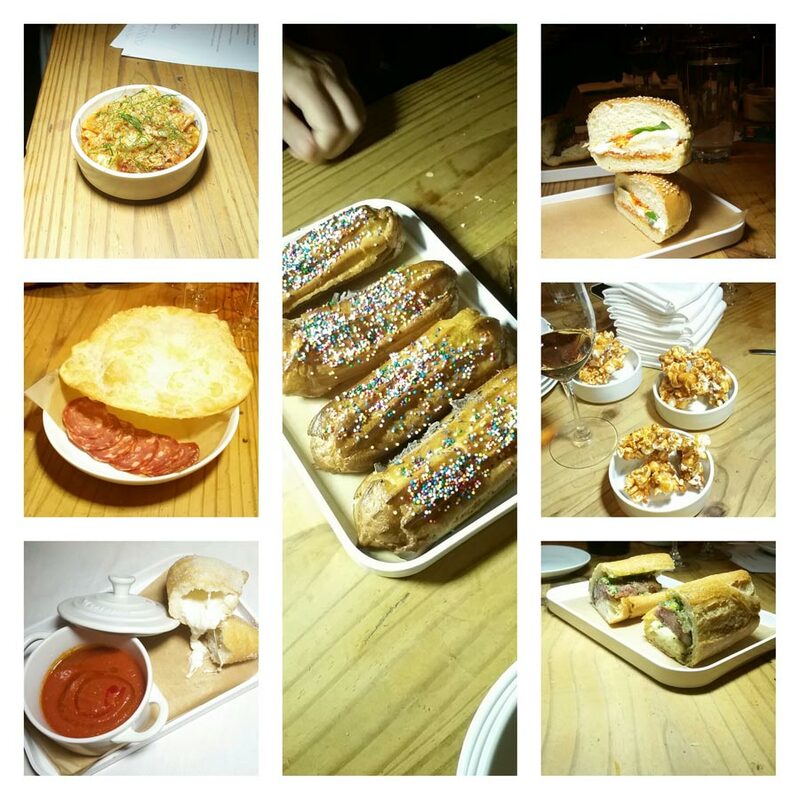 I liked it, but I would have kicked it to the curb for the gnocco fritto and the panzarotti. Damn you gluten, you vixen you!!! I have nothing to say about the wines, except they were perfection with the food and I drank too much of them. Corkbuzz Chelsea has 35 wines by the glass! I loved the passion and enthusiasm of the wine director and our hostess Rachael. Thanks Rachael for organizing a wonderful tasting! TWO: You get to eat outstanding Italian food and drink fine wines in small plates. Whether you’re peckish or piggy you will be delighted and completely satisfied. In this town, at a certain level of dining there are few bargains. Here’s one! All the champagnes are half-priced after 10pm, every day at Corkbuzz Chelsea. PLUS it’s the only Chelsea Market food establishment that’s open after 9pm. Use the BACK DOOR on 15th Street—just look for the pink light. THREE: You’re out in the meatpacking district some evening and you’re feeling like a nibble and some bubbles, slip into the pink doorway and take advantage of the #champagnecampaign: all proper bottles of champagne are HALF PRICE from 10pm to close every day. All champers are 1/2 price after 10pm, every day! Corkbuzz Chelsea is open from 11:30am-12pm Sunday-Tuesday and 11:30am-2am on Wednesday-Saturday. I eat out a lot and, if you want to know where and what I thought, get my IMHO One-Word Review list of all the restaurants I’ve eaten in this year, by signing up for my mailing list. It’s exclusive to people on my list and it’s updated with every email. I gave Corkbuzz Chelsea a LOVED!!! DISCLOSURE: I don’t usually write about restaurants on this blog (if you want to see where I eat and what I cook follow me on Instagram), but first and foremost I liked the experience and I think you will too, so I did. Yes, it was FREE! I get a lot of FREE FOOD and I PAY for a lot of food too, so that doesn’t ever compel me to write about it. 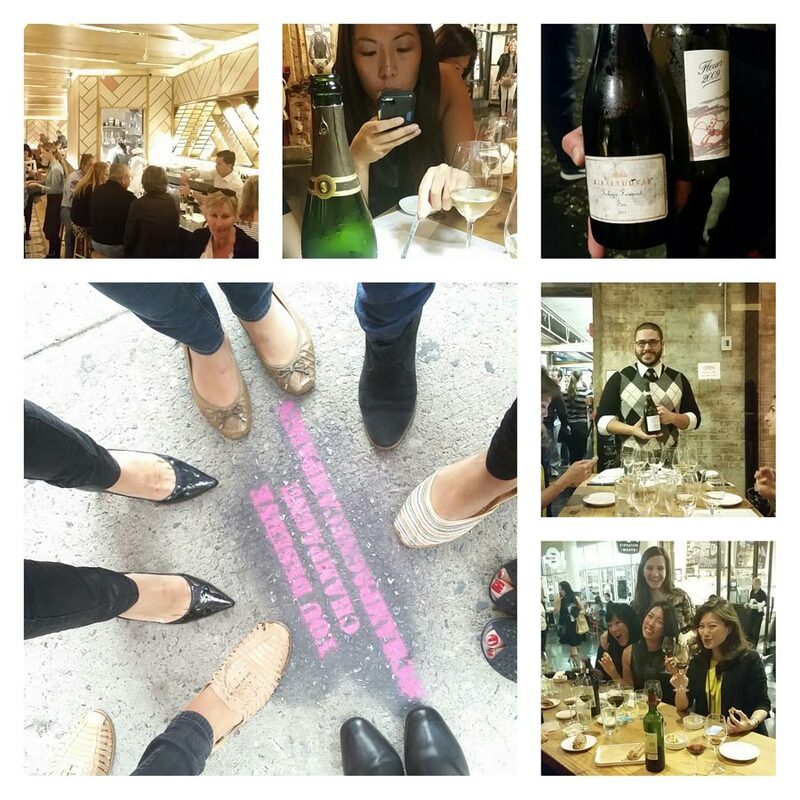 I like the folks behind this project and the gals I was dining with so I made an exception. Hey, maybe they will deliver me a box of frozen speck and fontina gougeres as a THANK YOU! ?